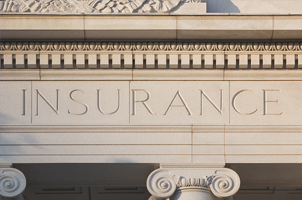 Insurance carriers can rely on the proven trial abilities and extensive experience of our attorneys in analyzing and handling insurance issues. The firm’s insurance assignments have included a broad spectrum of insurance matters, including analysis and litigation arising from allegations of personal and property damage resulting from occurrences ranging from homeowners and automobile/trucking claims, claims for faulty construction of residential and commercial buildings and/or inadequate security, design and premises defects, to claims for toxic chemical exposures, catastrophic failures (such as collapsed oil and gas platforms) and improper procedures on drilling rigs, defective components at refineries. In addition, for over 20 years, Attorney Lisa LeDoux Bruce has provided specialized services and representation to managing general agencies and carriers in the area of non-standard auto insurance. © 2019 TMF & Associates All Rights Reserved. This website is for general information only. The information presented at this site should not be construed to be formal legal advice nor the formation of a lawyer/client relationship.